Customers are central to any organization and it is very important to build healthy relationships with customers for sustained long term profits. CRM or Customer Relationship Management is a vital aspect of any business strategy. CRM, or Customer Relationship Management, is a company-wide business strategy designed to reduce costs and increase profitability by solidifying customer loyalty. True CRM brings together information from all data sources within an organization (and where appropriate, from outside the organization) to give one, holistic view of each customer in real time. Proud Technologies provides online and on-site consulting services to assist your office with getting maximum profit from CRM project. 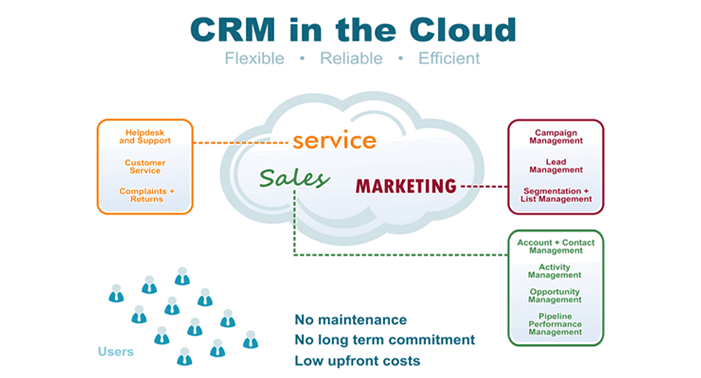 Proud Technologies has vast experience in CRM development and CRM Customization. Proud Technologies’s CRM solutions help you communicate with your customers better, make long term fulfilling relationship and increase profitability. Seamless integration ensures the system behaves according to your own business logic and workflow style. Our experts implement high quality CRM solutions at extremely competitive prices ensuring that your business thrives on healthy customer communication. The question in today's increasingly dynamic and competitive market environment is not whether you need CRM implementation or solutions, but what solution works best and whether it is an off-the-shelf package or a custom solution that will work best for your business. At Proud Technologies we believe that for most customers it is a mix of both. And the resultant answer is dependent on your scale of operations, the uniqueness of your business process and finally the amount of flexibility and ongoing custom integration you are planning upon the initial implementation. We offer a full range of CRM solutions from Consulting and Software development to Back-office support. Proud Technologies offers CRM solutions, as a focused vertical specializing in this space.